Looking for an alternative to the Super Bowl pregame? Sunday afternoon's Kitten Bowl VI will feature purrfect players from our area. ARLINGTON, Va. — Superbowl Sunday will not feature the Redskins or Ravens, but plenty of “cat-letes” from the D.C. region will appear in Sunday’s Kitten Bowl VI. One of them is Prince Hairy, who was found with his siblings on a street corner in Prince George’s County, Maryland. Russ runs AWLA’s Kitten College, which was established in 2017 and is equipped to help save the youngest and most vulnerable kittens in D.C. region and beyond. Some are brought in from as far away as North Carolina, West Virginia, and southern Virginia. The Kitten College has been a big success. AWLA saved 92 kittens in 2016, before the program launched. In 2018, the first full year of the program, they saved 1,086. “The need has been much higher than we expected, and obviously we welcome it, because we’re well-equipped and can do it,” said Russ. AWLA is always looking for people willing to foster kittens. “The reason we call it the Kitten College is because our foster program is set up so differently. We have fosters that are at the level of freshman, sophomore, junior and senior. So our senior fosters will take a kitten that comes in that’s just hours old, and bottle feed it,” Russ said. Because of the big jump in the number of kittens coming in last year, AWLA was concerned about placing them all. So they called other shelters to the north and east of the D.C. area, and transferred cats to them. One of those organizations was North Shore Animal League America based in New York, which is involved with the Kitten Bowl and the drafting of the kitten “teams”. North Shore asked AWLA to provide kittens for the special, and AWLA happily obliged. It was filmed in New York in August. In addition to becoming TV stars, North Shore made sure that the Kitten Bowl “players” also found forever homes. Besides Prince Hairy, other AWLA Kitten College alumni to watch for include Cannoli, Cash, Huckleberry, Jingle, Ravioli, Tulip and Wendel. 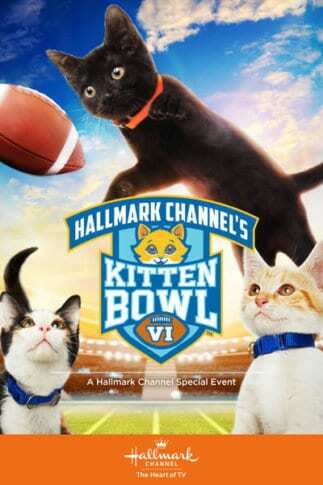 Kitten Bowl VI airs at 2 p.m. Sunday on Hallmark Channel.